Seasonal Savings + Package Shipping Savings saves you $1,060 vs. buying separately later. Seasonal Savings + Package Shipping Savings saves you $1,139 vs. buying separately later. 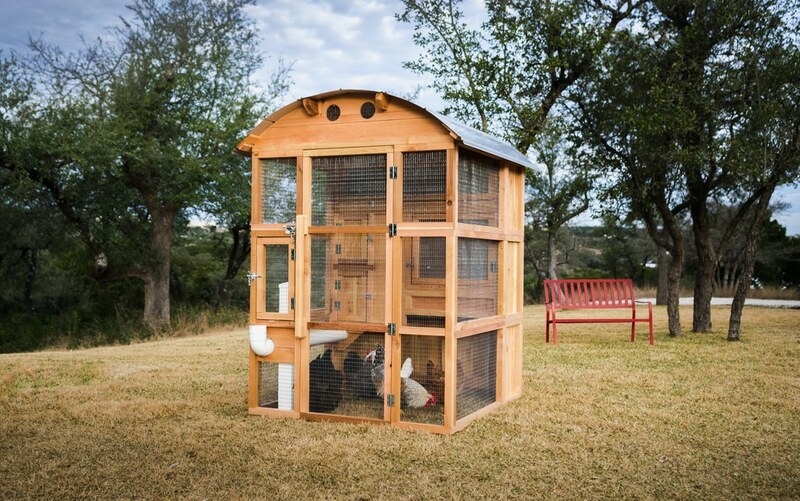 Coop Only | Keep up to 6 full sized hens in a base model Round-Top Stand-Up Coop™. Includes everything you need for the base model coop. Save 20% or More Now vs. Separately Later! Extra | Customize – Express yourself. 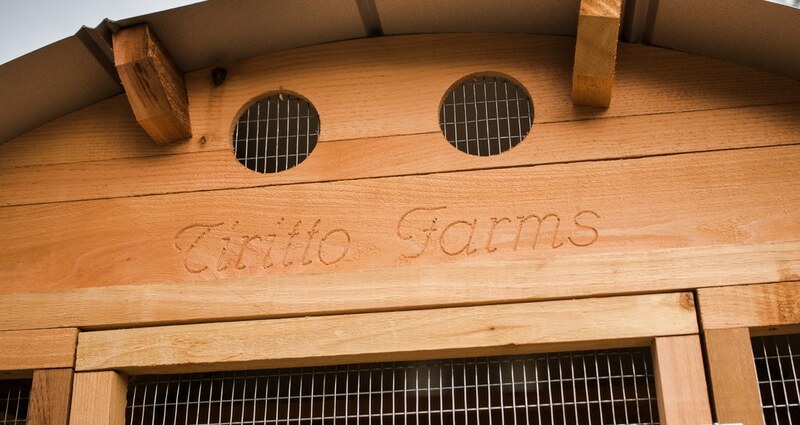 Add a custom engraved name board over the entry door. Choose your font and engraving text at checkout. Save Now vs. Buying Later! 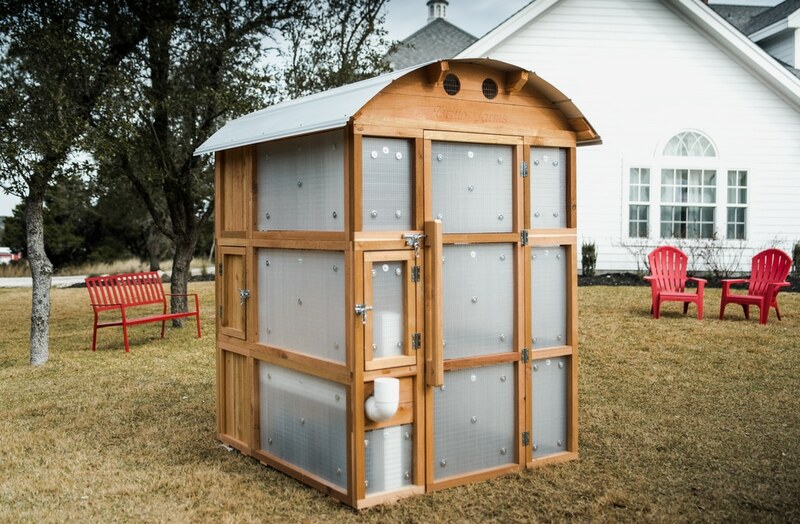 Assembly | DIY Assembly Kit - Over 4,500 Round-Top Coops™ have been put together by customers. Basic skills, a little time and a cordless drill can save you a bundle in shipping. DIY assembly will take you about 3-4 hours with a helper. 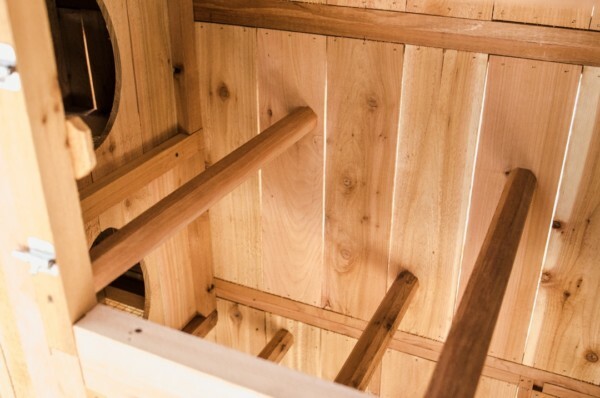 We'll build a cradle for your coop and assemble it for only $225 $75 bucks !!! Let the people who built your coop... 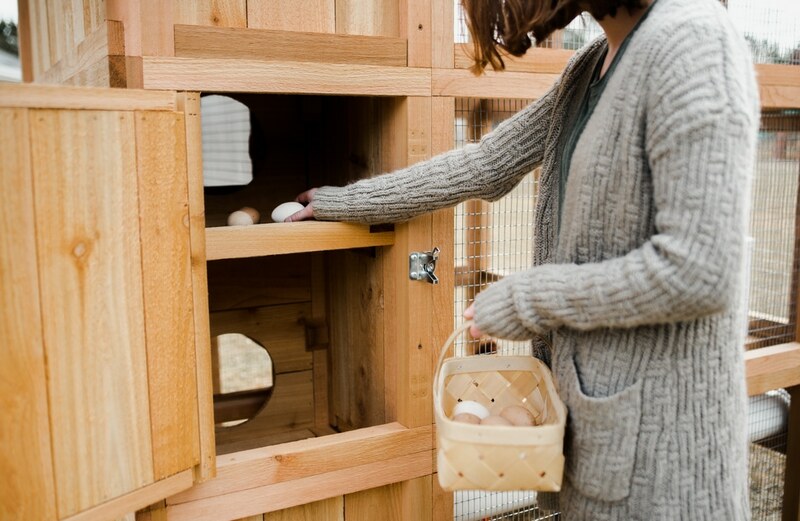 BUILD your coop for you! It's a win-win deal and now 67% off. 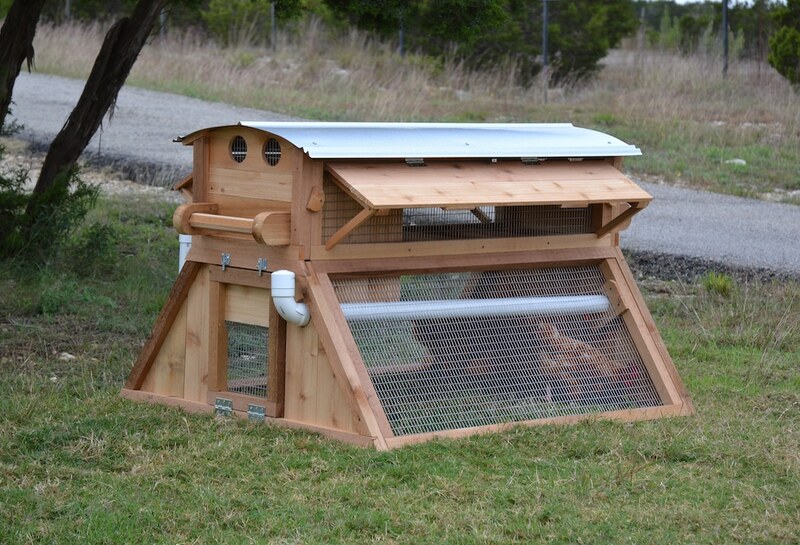 Our new Round-Top Stand-Up Coop™ has to be one of the more decadent ways we can imagine to keep up to 6 hens. And why not? It’s fun, functional and beautiful to look at. It’s designed with warm and cold climates in mind. 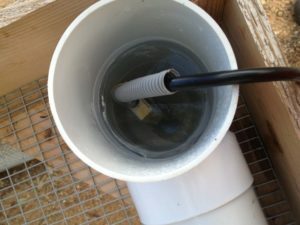 For your hens there is a cool new day roost, ample clean water from an optional integrated waterer and feed from our new EZ-Fill Feeder² (optional). 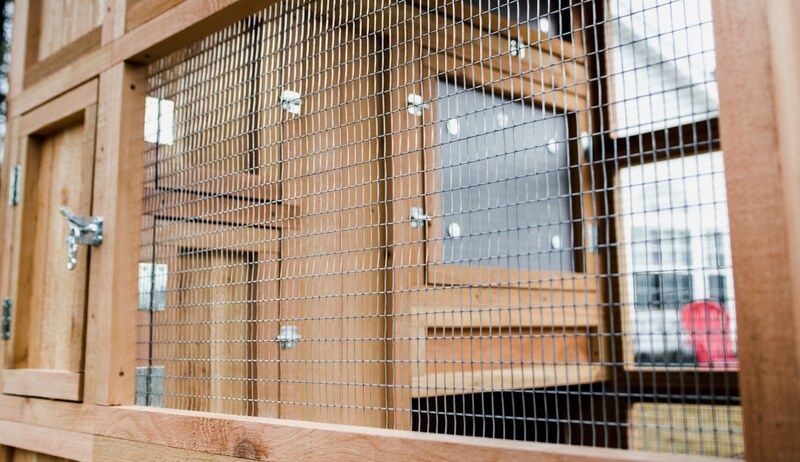 The back of the coop has been designed for an automatic door (www.chickendoors.com) and the attachment of an external site built run. 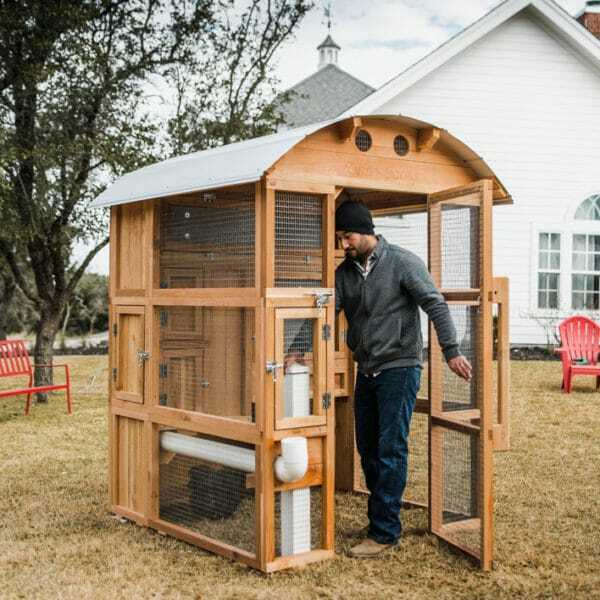 Get the automatic door, or just use the door the coop comes with. Like all of our coops, it’s built predator tough and durable… so it’s safe and will last many, many years. Collect your eggs from the inside or out. Water and feed, from the inside or out. Tend to your flock under cover in the rain or snow. It’s free at time of purchase of your new Stand-Up Coop. Just choose in the coop Order Form and it will be added to your order for $99 Free! We calculate hen population based on ~4 ft² per bird run space (free range by Gov’t standards) adequate roost bar space, egg box space, and quantity and number of feed and water units. XL Model adds 1 Box. XL Option: Adds about 2 gallons of water if you order waterer. 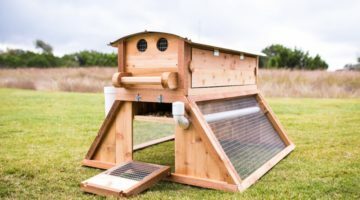 We have thousands of satisfied customers all over the US and Canada and are confident our coops will be a big part of the joy you will get from your backyard flock and look great doing it year-after-year. 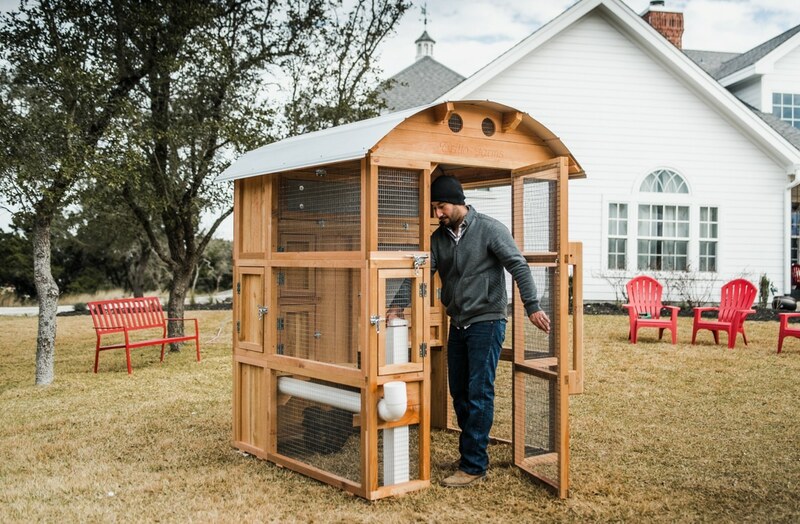 Our Round-Top Stand-Up Coop™ offers unbeatable quality and convenience a gives you an amazing chicken keeping experience. Purchased as a DIY Kit. Handcrafted From 100% North American Appearance Grade Western Red Cedar. Will last many years with or without sealing. Simple pre-drilled holes, can be easily assembled in about four hours with only a drill. Screw bits and everything else you need is in the box. Provides roost bars in a fully protected roost area for up to 6 standard sized sleepy hard working hens. Your girls deserve a roost like they get in nature. The Stand-Up design is ergonomically friendly. 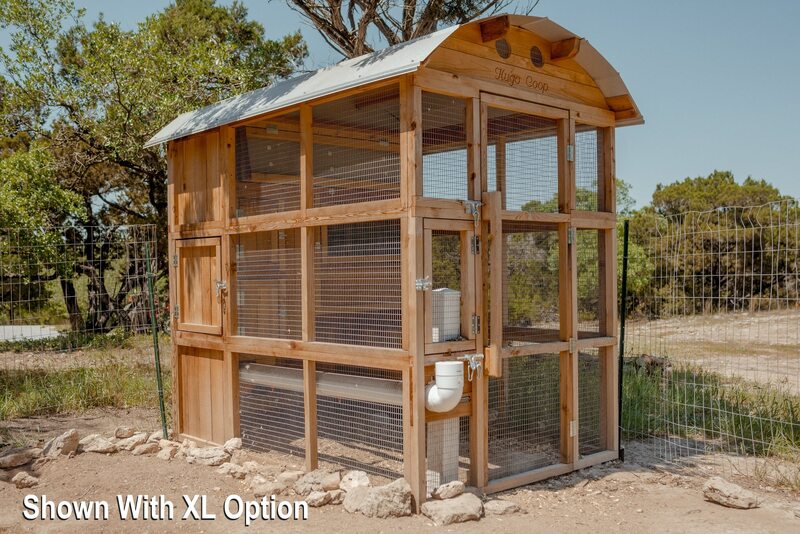 Requires little or no stooping or bending over to manage your hens. Updraft ventilated roost. 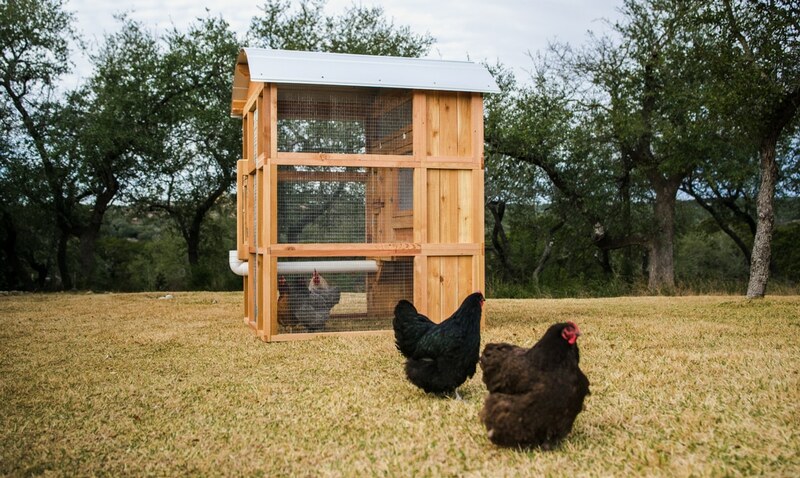 Assures the respiratory health and safety of your hens in hot or cold climates. No stinky poop trays. Poop composts on the ground. Available integrated EZ-Fill Feeder and EZ-Fill Waterer. Feed and water your flock standing up outside the coop! 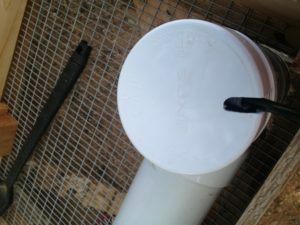 No cleaning of stinky waterers or messy feeders, doesn’t take up valuable run space. Built with all galvanized metal hardware and all weather advanced joinery methods. Rugged long lasting tangible quality. Made with heavy duty 16-gauge galvanized predator proof welded wire. No chicken wire, no hardware cloth. As safe of a coop there is. Double, fully protected egg boxes. Integrated storage area for Storm Panels. Inside and outside egg collection access. Turn-Out door on back side that can be fitted with a standard available automatic door. Built so that an external site-built run area can be connected to the back of the coop. 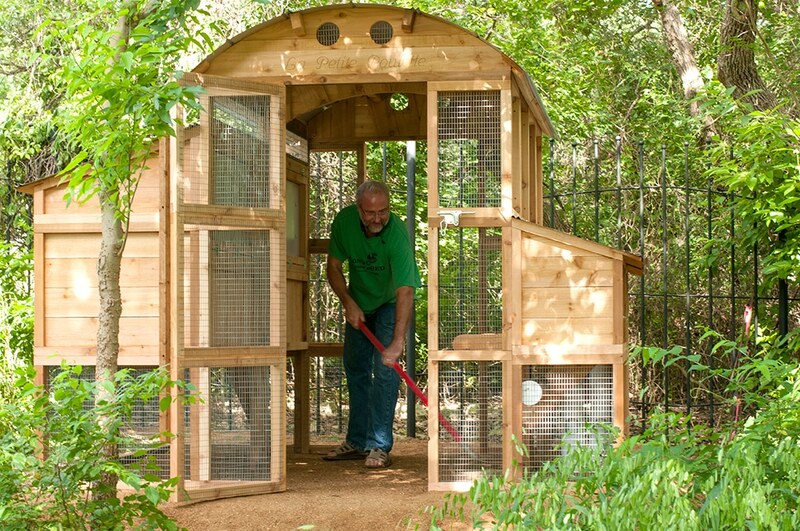 We wanted to create a sub- $2,000 dollar high quality walk in style coop and the Round-Top Stand-Up Coop™ was the answer. After almost 500 hours of 3D CAD design and prototyping, we brought the coop to market in 2017 and it quickly became a top seller. 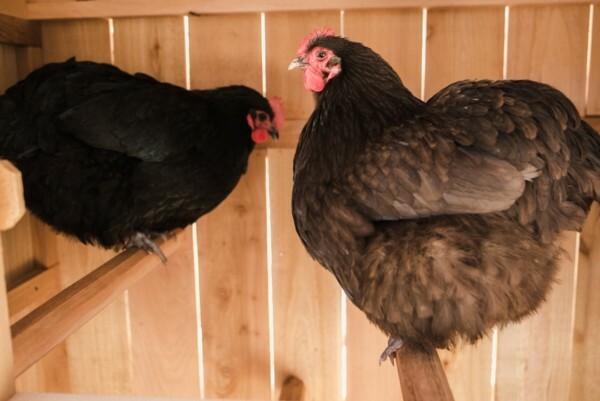 The main idea of these coops is to be able to get into the coop out of the weather and tend to your flock. It's a convenience whose benefit cannot be overstated... especially in cold places. Up to 6 chickens in standard form and an optional run extension for more space. Full standing height headroom and easy access wide-door. Built-In storage area for Storm Panels or for feed and hen care products. Extra run space option for those how have the room and want to offer their flock some extra space. ~3 Hour assembly by 2 people and with only a cordless drill. No-Poop 4+ day supply optional waterer that can be freeze protected. No-Poop 4+ day supply optional feeder. 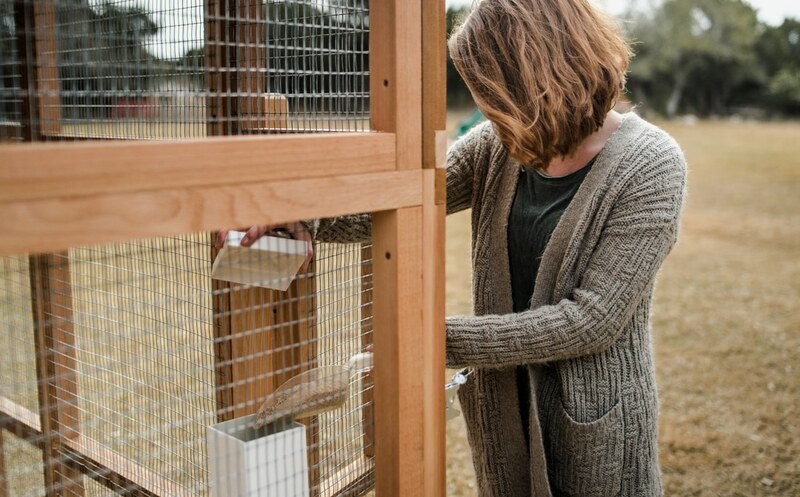 We designed the Round-Top™ Stand-Up Chicken Coop™ to be easily assembled by two people of average skill in about four hours. All needed tools and fasteners are included in the box with a set of current instructions. You provide a cordless drill and some elbow grease. A small level is handy but not required. A level app on your smartphone will work great! 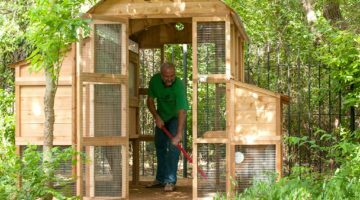 We’ve created a video series that gives a complete idea of what goes into assembling a Round-Top™ Stand-Up Chicken Coop. If the embed below is not working or you prefer to watch the videos directly on YouTube, click here. The printed instructions that come with your coop and the .pdf file on the other Assembly Instructions Tab are always the latest version.